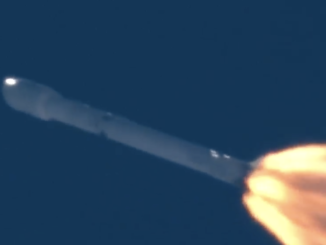 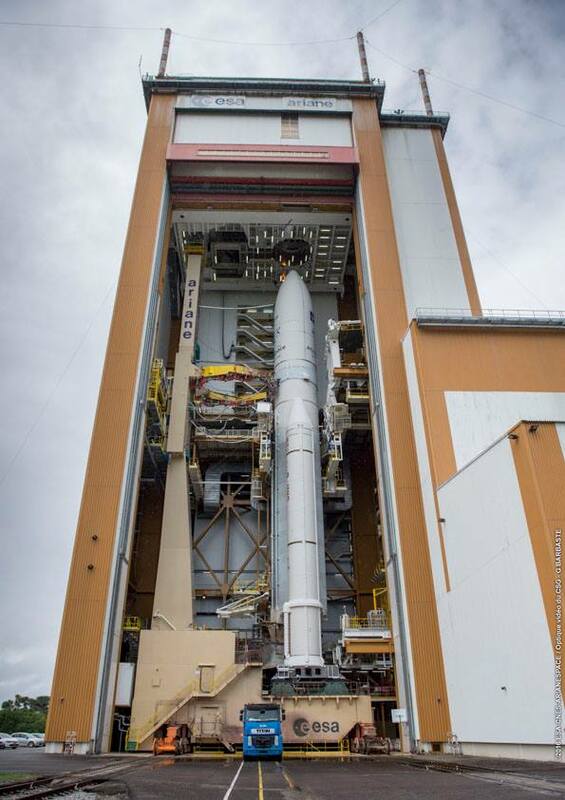 The 180-foot-tall (55-meter) rocket emerged from its final assembly building behind a diesel-powered Titan tug Tuesday morning for the 1.7-mile (2.7-kilometer), hour-long trip to the ELA-3 launch zone. 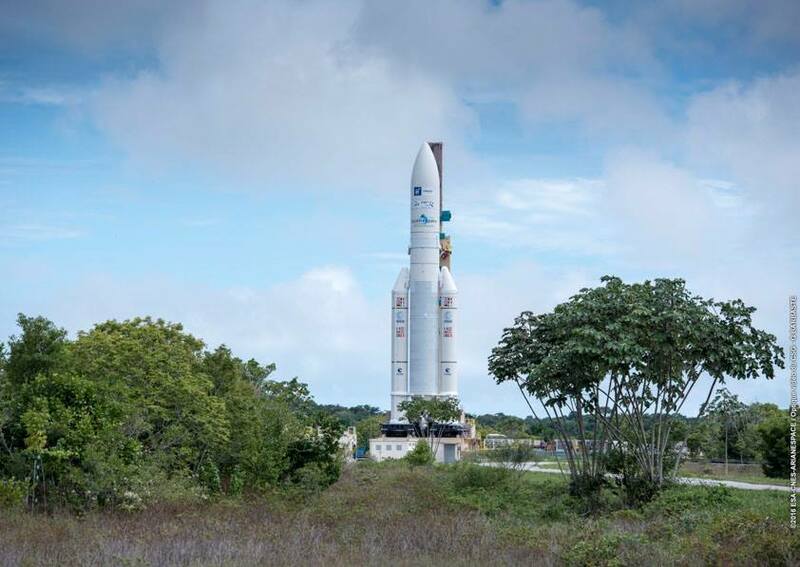 The Ariane 5’s mobile launch platform followed rails on the trek to the pad, and the rollout crew deftly positioned the launcher over the pad’s flame duct. 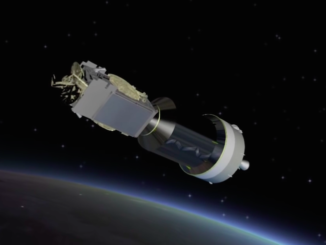 Technicians planned to fill the first stage’s liquid helium tank after the rocket’s arrival at the launch pad. 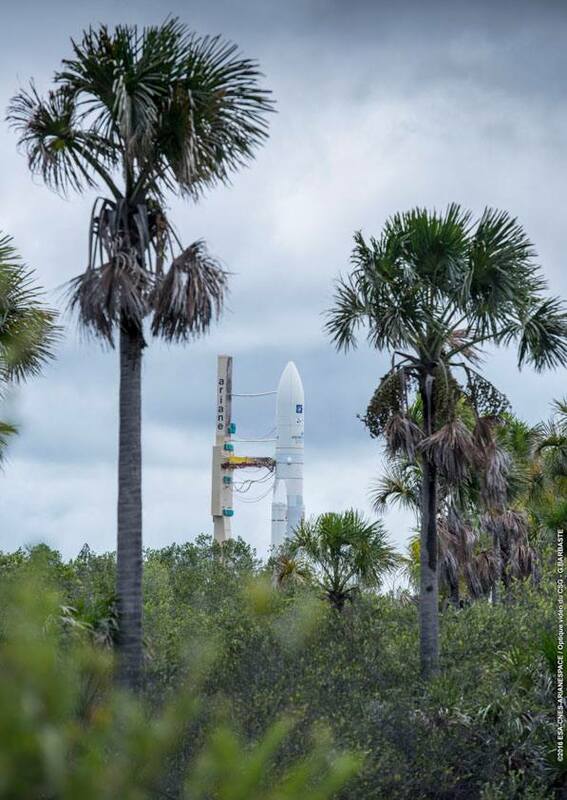 Other activities planned after the rollout included making electrical, telemetry and fueling connections between the rocket and ground supplies. 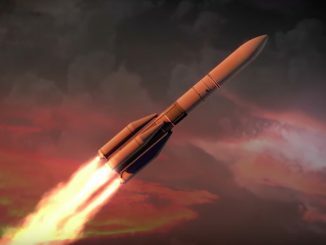 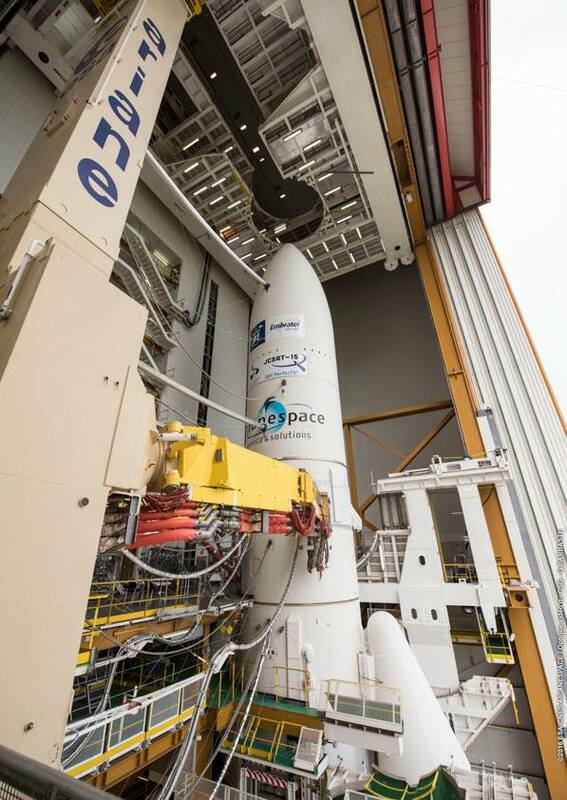 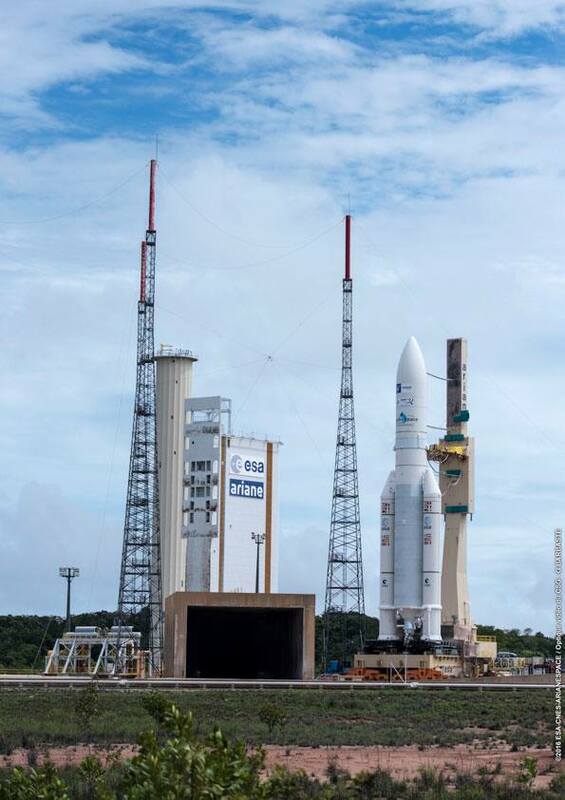 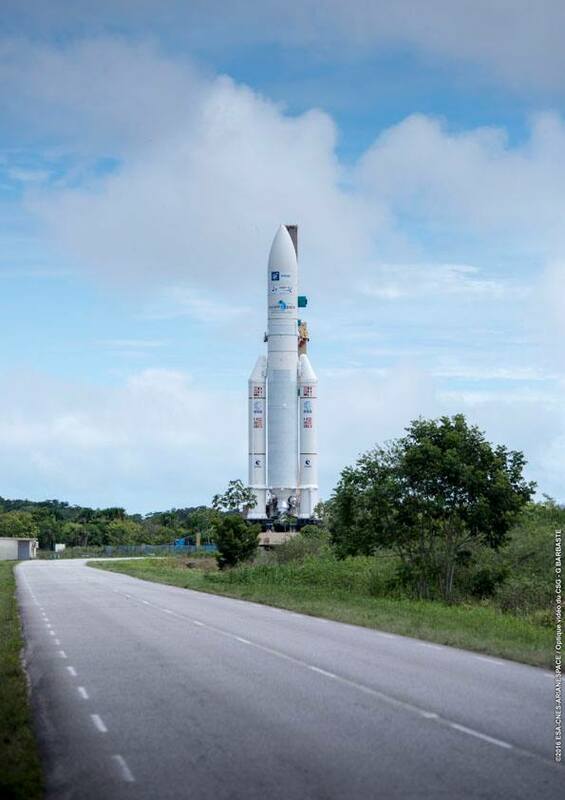 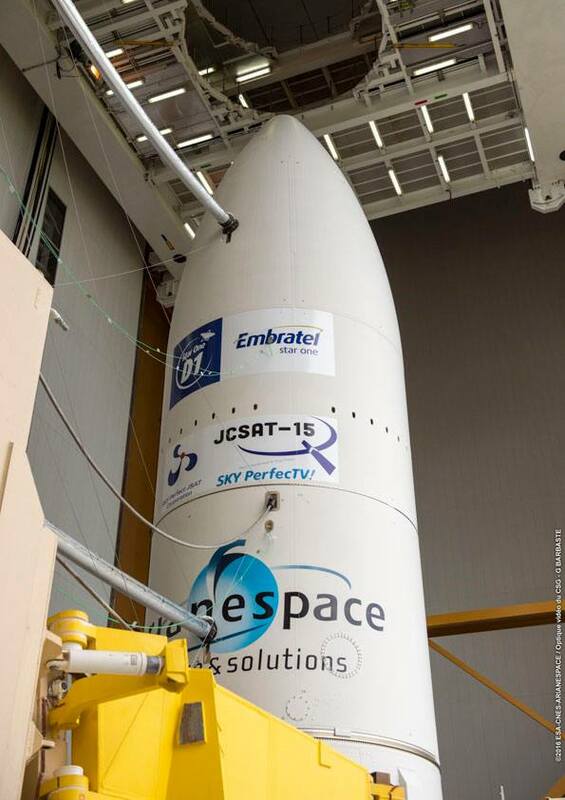 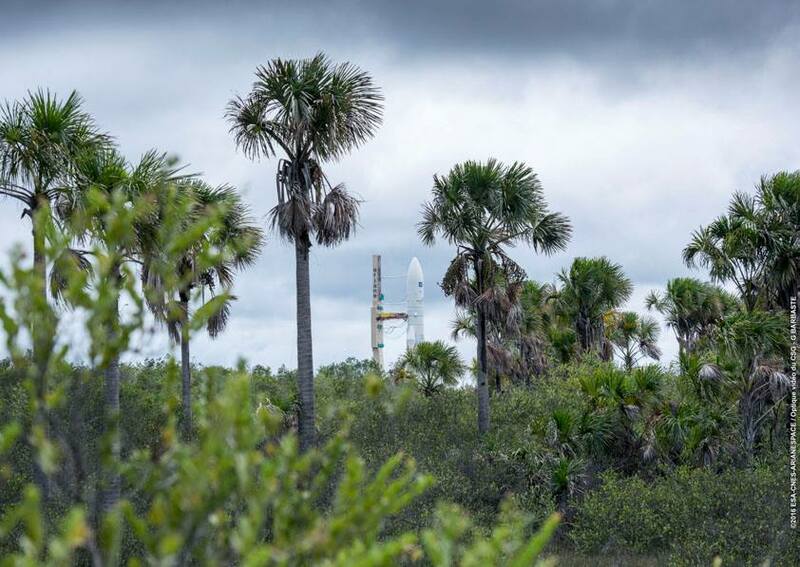 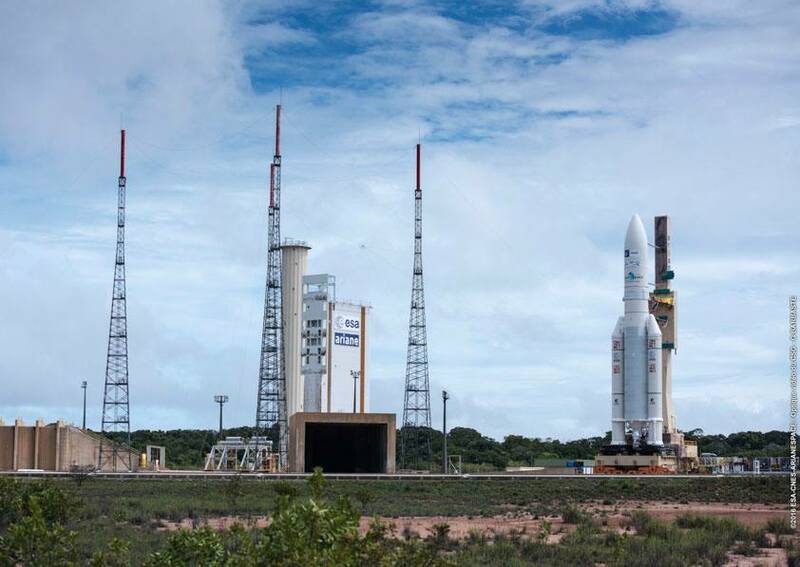 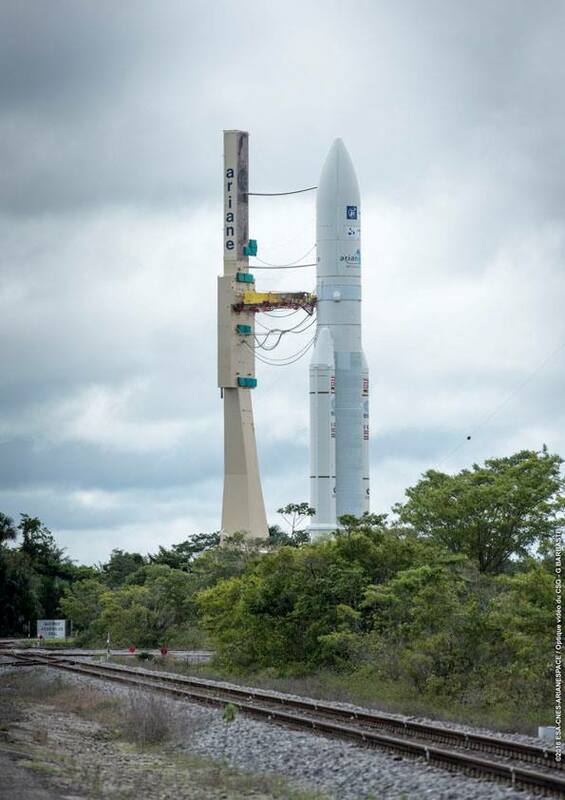 Launch is scheduled for 2030 GMT (3:30 p.m. EST; 5:30 p.m. French Guiana time) Wednesday, marking the seventh Ariane 5 flight of the year and 90th Ariane 5 mission overall.